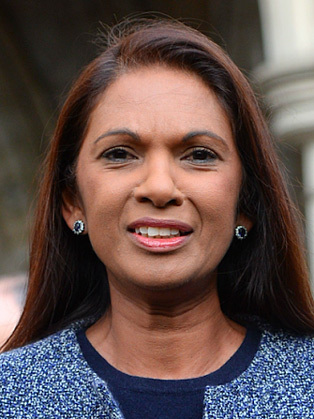 Gina Miller is best known for having campaigned for transparency in investment and pension funds. In 2009, she co-founded the investment firm SCM Private and launched True and Fair Foundation - formerly known as Miller Philanthropy - with her husband who is a hedgefund manager. The foundation says it supports smaller charities by providing funding and support. Miller set up the True and Fair Foundation in 2009, with the aim of increasing philanthropy and common good in an era of growing inequality, social fragmentation and small state funding. It aims to encourage those who have been successful to give back to the communities that afforded them their success, lessening the burden of giving for donors and philanthropists who wish to give smarter and in an efficient and transparent manner but may be time poor. In January 2012, she set up the True and Fair Campaign in order to “limit the selling or financial scandals through greater transparency.” This initiative attracted the animosity of part of the City, earning her the nickname of "black widow spider. Miller launched the Brexit legal case with London-based Spanish hairdresser Deir Tozetti Dos Santos and the People's Challenge group, set up by Grahame Pigney - a UK citizen who lives in France - and backed by a crowd-funding campaign. They argued the government could not invoke Article 50 of the Lisbon Treaty - starting the formal process of the UK leaving the EU - without seeking approval from Parliament. Speaking after the High Court verdict, Miller told the BBC the case was about scrutinising the details of Brexit, such as "how we leave, how they're going to negotiate, the directions of travel the government will take".